I’m not sure if you’ve noticed, but B-games are getting good. 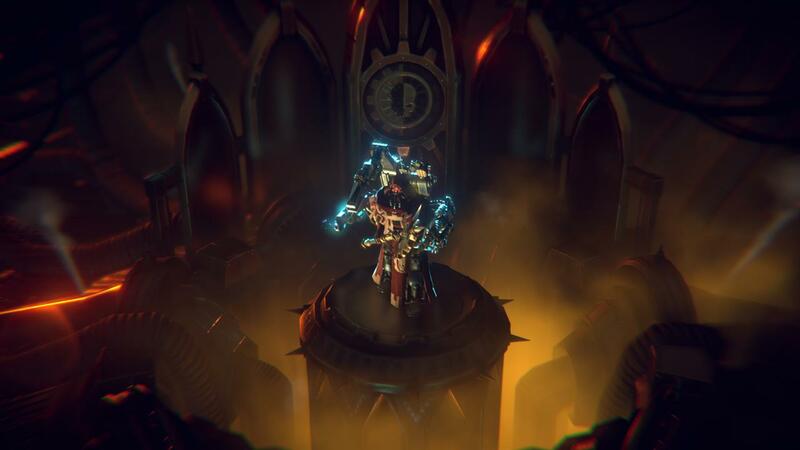 Warhammer 40,000: Mechanicus is proof positive. 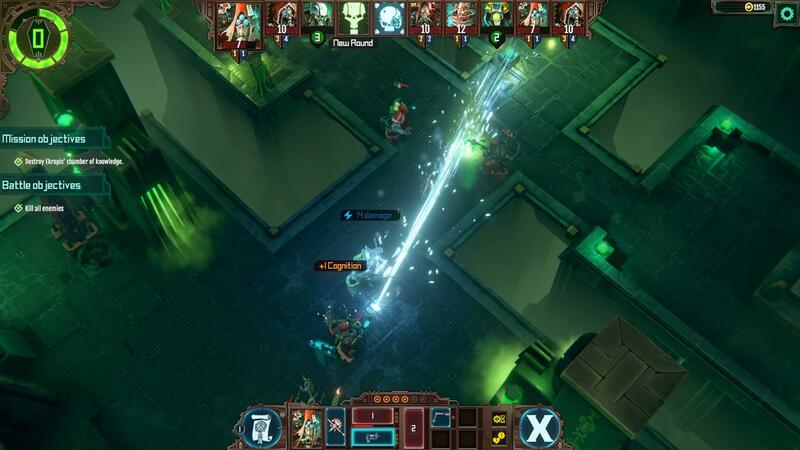 While it doesn’t appear to have the resources of a Firaxis making XCOM, or a Larian Studios making Divinity, Mechanicus still exhibits a confident level of craftsmanship and confidence that is commendable. This preview build gave me a baby-steps tutorial, then let me look at a couple mid-game levels. 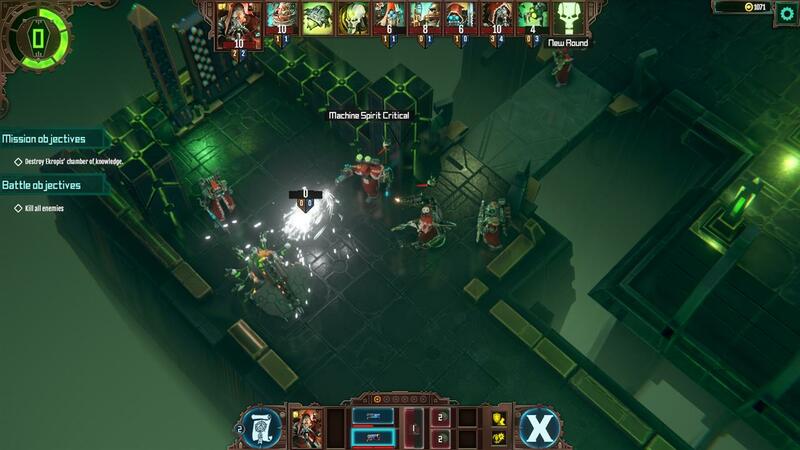 Ultimately, Mechanicus looks and performs like a high-end mobile game that was able to extend beyond the reach of smartphones. I don’t know Warhammer from MC Hammer so this is all new to me. Having said that, I’m rather looking forward to playing these seemingly Undead Gothic Holy Roman Terminator units. In my line of work, it’s nice to see what the bad guys are up to once in awhile. This Adeptus Mechanicus group, as it were, have their ethical philosophies fully baked. Military opposition is dealt with as a moral threat. Everything they do is marinated in Latin-based religious iconography. They may not be the bad guys, per se. For all I know, every Warhammer 40,000 faction is merely a product of its environment, and the only environment is war. So, here we are. A planet called Silva Tenebris. I’ve got a crack team of religious, archeological, and linguistic experts by my side. We make landfall at the Eastern Fringe. Coursing through the galaxy in a ship that looks like a cross between a Destiny gun and the Catholic Church. Already I feel friction within the ranks. My religious-minded staff member cites scriptural passages telling me to scorn all things, while my language-learning staffer is hungry for knowledge that has been buried for hundreds of years. Note: The reason we’re even on this planet is to acquire knowledge of past civilizations. That’s actually the entire modus operandi of the Mechanicus: to make historical acquisitions that improve our ability to make further historical acquisitions. The ethical considerations are a big huge gray area full of secondary concerns. Me? I’m Faustinus. A Tech-Priest, though maybe more of a Tech-Bishop presiding over my Tech-Priests. Faustinus admits to having emotions, but compartmentalizes them, and immediately deposits the loss of life into a calculus of acceptable and unacceptable statistical outcomes. Time for some tomb raiding. While these tombs are dark, lonely, and undoubtedly filled with hostile xeno lifeforms, my death popes already seem up to the task. I begin as Faustinius, not as a boots-on-the-ground soldier in this tomb raid, but as a war commander standing over a holographic projection of the action up in my ship’s war room. Back down on the surface, there are eight rooms vaguely outlined. I have an Apprentice and a Magos along with four Servitors in the first room. I’m not too worried about learning all the lingo, yet. It’s all a bunch of science-fantasy Pig Latin. 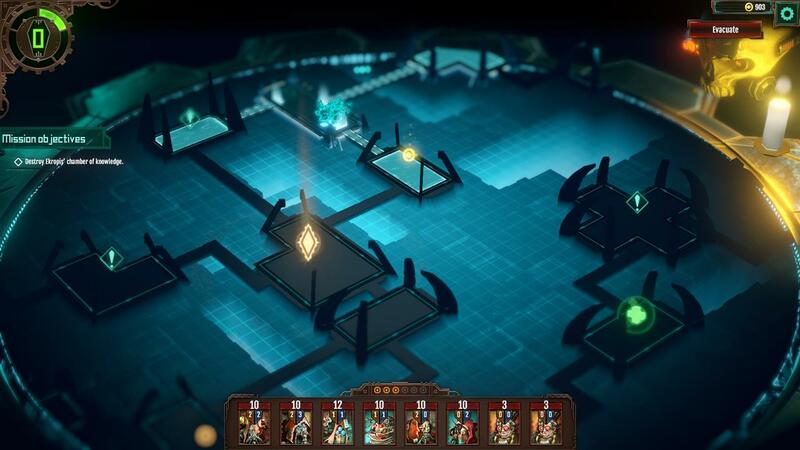 For now, I click the next room and watch the party, from my comfy isometric view safely aboard my command ship, move from the first room to the second. It’s like I’m playing a video game of a guy playing a board game. Narrative details and thumbnails of concept art tell the story. I move into a room where combat is joined. I’m able to select a cautious, balanced, or aggressive fighting stance for my troops. Then the view moves from the war room into a bird’s eye view of the digital tomb itself. 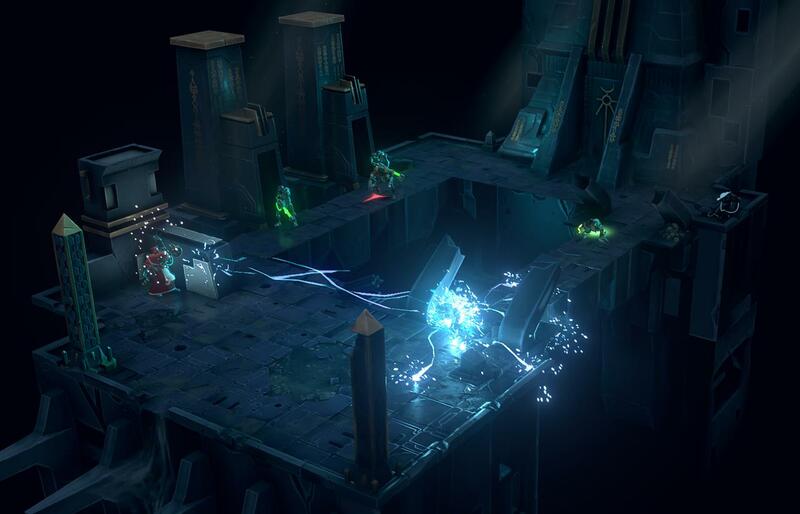 Here comes the XCOM-like turn-based strategy part. I’m getting visibly excited. Not my unemotional robo-pastors, but me. The first environment I’m inserted into is an ancient temple. I like the clean lines and gentle glow and cold depths that fall away into the background. But it’s sterile. While it’s a cool look, this pie slice of a preview only has that one look. If it’s 30 levels of this digital-temple template, it’ll get old quick. But it appears there are different regions of the planet to explore, so hopefully there’s plenty of environmental eye candy in the final game. 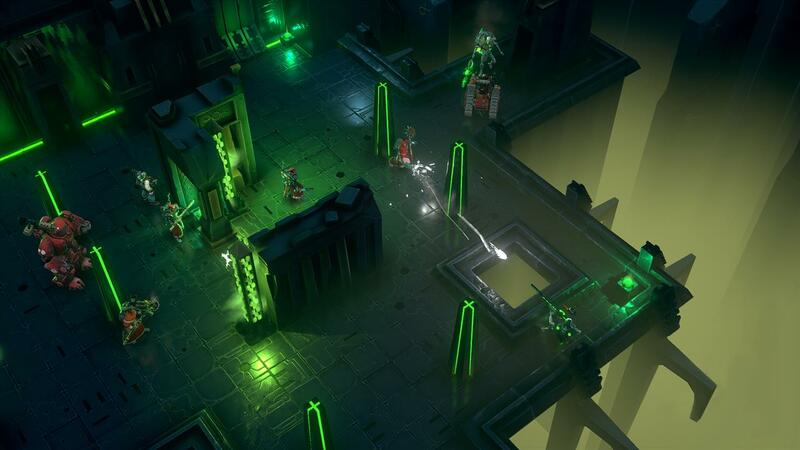 The soundtrack in this cyberpunk holy ground is like Skrillex melting down his collection of Gregorian Chant records. It’s tinged with bleeding electricity and dying machines. I can’t imagine a more effective backing track to this darkly neon-webbed adventure. I’m not sure why I didn’t expect this, but my holy robots operate with frightening efficiency and a mechanical sense of purpose. Their drive is cold, stoic, and admirable. On the one hand, they’re a frightening analog of human beings at their most dispassionate. On the other hand, they have the bold, unwavering push of human beings at their most driven. The in-between dialogue can run a little long, but it’s easy reading, aside from the thick Warhammer 40,000 tonality. Their names are menacing, their unblinking stares are menacing, and the goth-punk musicality of their mission makes me glad these guys are on my side, even if they frighten me a little as a player. Apparently, Necrons are waking up. Not only that, they’re waking up at an alarming rate. There are exactly 30 missions. 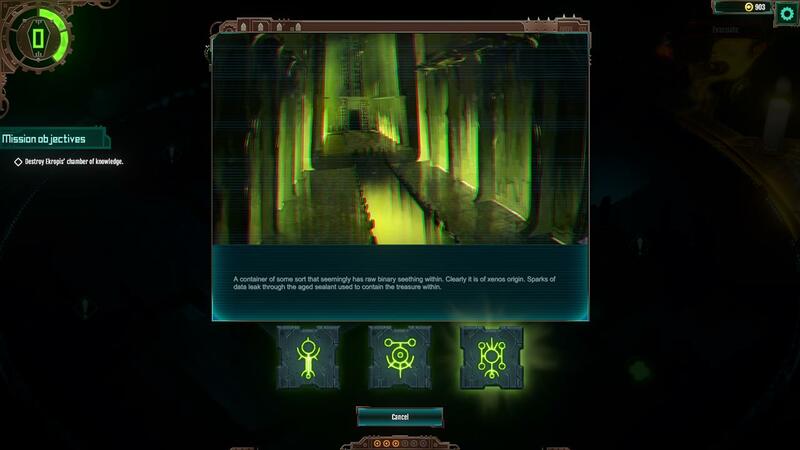 Thirty drops into the tombs to eliminate the Necron threat. That’s what sort of makes me afraid there won’t be much variety to the looks in the environments; just a rearranging of squares and pillars. There’s an RPG’s worth of equipment to gear up with. I couldn’t tell you the difference between Phosphor Serpenta or a Macrostubber, but the damage these things do are painfully low for my video game-oriented brain. These things deal out the type of damage you’d see from rolling six-sided dice, not the hundreds of numbers, for instance, that’d be popping off an enemy in an FPS. I can learn disciplines from the tech trees, which range on the simpler side of things. There is +1 or +2 to this or that ability. Bonuses to guns or melee weapons. Buffs to healing. It does get deeper than that, but not much deeper. It’s a relief. The Tech tab is, from what I can tell, wholly concerned with acquiring weaponry. Fight enemy, acquire increasingly advanced weaponry, shoot increasingly advanced weaponry at more enemies. Repeat as needed. The guns look like a bunch of fantasy-fiction Tesla Coils shaped into rifles. I’m okay with that. Hold on, there are more sub-tabs here. There are Support items for healing and auxiliary purposes. There’s a sub-tab for the troops at my disposal--the poor saps that have to follow my Tech-Priest’s orders. I already put some Servitors to great use on my first mission inside that temple; put them to great use as fodder for a big huge nasty boss that would smoke my Tech-Priests in one swing if I let it catch me. Well done, Servitors, for keeping the enemy at bay until I could survive the requisite number of rounds for the “win.” I’ve got some enormous thing on here called a Kastelan Robot. I ineffectively bring that to bear in a subsequent battle..
Another sub-tab is for my ship, the flying Notre Dame-looking thing. Finally, I have Canticles. These are apparently prayers--Shroudpsalm, Overwhelming Omnissians, and Chant of the Ironstrider--that I can use in-game. Looking forward to firing off these particular “thoughts and prayers” to my allies on the field. Things like increasing allies’ energy armor by one, or restoring three health to all Tech-Priests. So, these aren’t Acts of God or anything, but they might be just enough to keep my head above water. Wow, these Tech-Priests talk a lot. I mean, I’m glad they’re hashing out their strategic overlord options as far as the war is concerned. But it’s not like these options are presented to me. The amount of reading (for a video game) can me merciless. 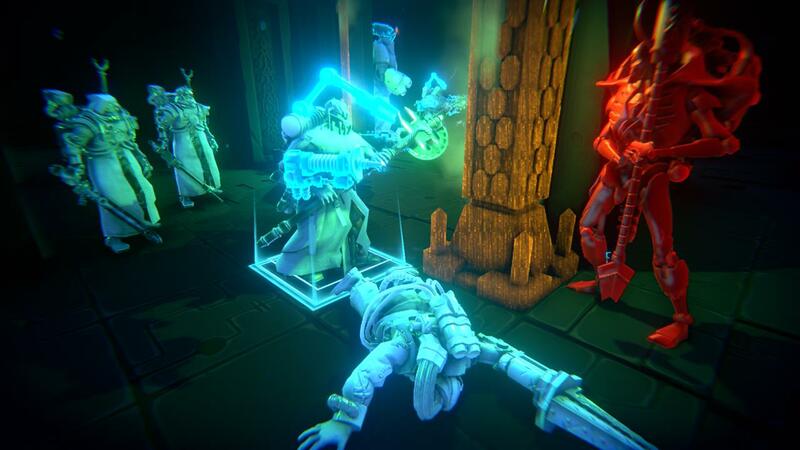 It’s nearly a visual novel, spliced with turn-based combat scenarios. I can’t distinguish many personalities. These folks are all business, and what they say is simply raw plot-device stuff to keep things moving forward and serve as an opportunity to make their specializations apparent. Here’s the language guy, so he forward the linguistic agenda. There’s the religious guy, so he forwards the religious agenda. As far as spelling out this faction’s ethos, Mechanicus serves as an excellent manifesto. One tactical problem I keep running into, is that ranged weapons are disabled when even one enemy is within melee range of me. It doesn’t matter if I could theoretically shoot at an enemy in the opposite direction, the melee-range enemy fully disables my ranged attacks. I understand that Warhammer has its tabletop rules pretty well figured out at this point, but seriously, who’s never heard of a point-blank gunshot? Since we’re talking about a preview here, and because that affords the developers some leeway, I still need to mention that I ran into one freeze during a long battle. Just as I’d turned the tide of battle, everything stopped responding, even though the music continued and everybody’s idle animations kept huffing and puffing. But everything else stopped responding. Again, it only happened once, and the final build, due next month, has probably already ironed out the biggest offenders. 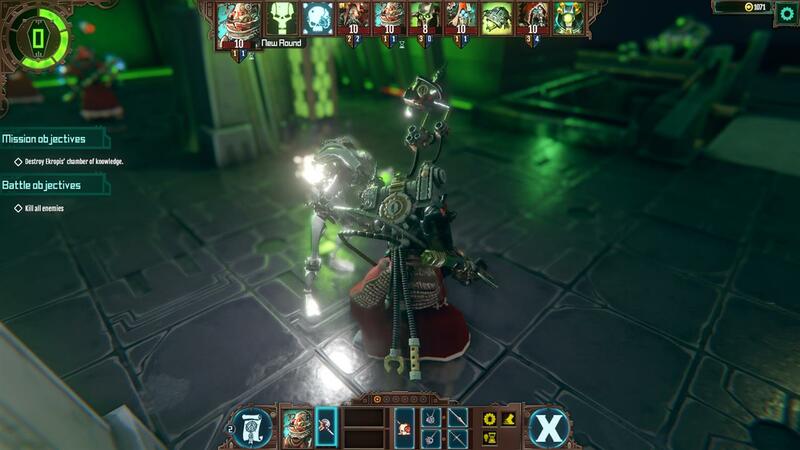 A little overweight for mobile, but a little underweight for PC, Warhammer 40,000: Mechanicus is a cleanly executed B-game. 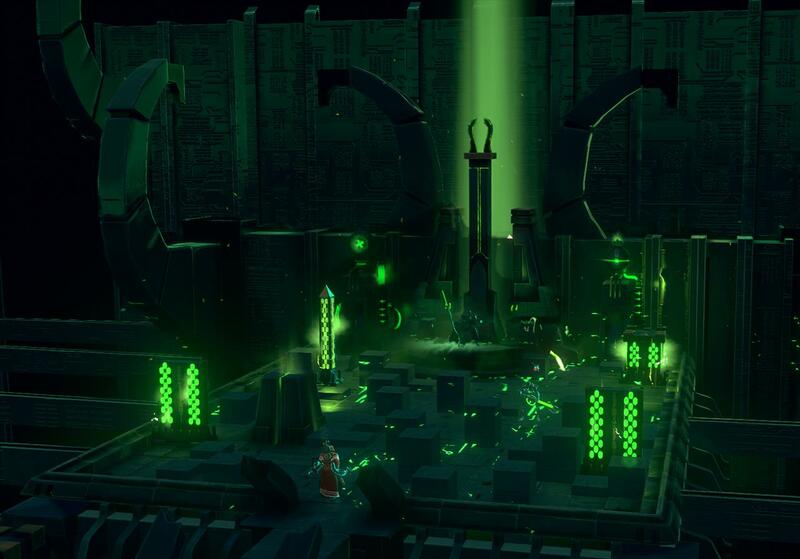 The experience will be further enriched and emboldened with the inclusion of cutscenes, which were noted by the developers to be absent in this preview build. The writing never breaks character. 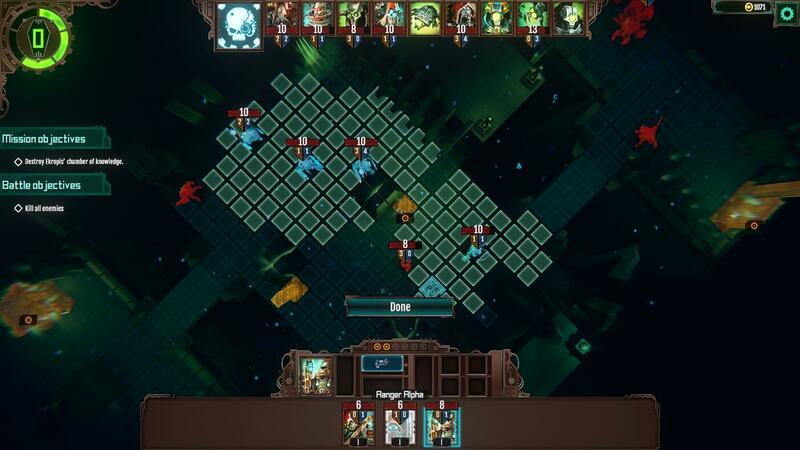 The combat is full-bodied but not overdone. And now I finally feel like I have a foot in the door of the Warhammer 40,000 universe, a universe I’d been dodging in one form or another since the 1980s.